Home Unlabelled Why You Should Never Let Anyone Kiss Your Baby On The Lips! As a parent you can often be made to feel like you’re being too precious in your overwhelming desire to protect your newborn baby from pain. Or when you meet at the park for a play date with healthy toddler and newborn in tow, to find said play date has a cough and green snot running at full steam from both nostrils. If you have sick children, stay home. Don’t send them to kindy. Don’t come to play. Don’t kiss and cuddle my children. Please don’t spread the germs — I don’t want to spend a week working from home while caring for vomiting youngsters and still paying for childcare. And I really do not want to spend the weekend in bed because, what do you know, I got it too. You may think it is nothing. That some paranoid mums are silly like that, rushing off to the doctors every five minutes and wrapping their kids in cotton wool — that germs are everywhere, particularly in flu season, and you can’t keep them in a bubble forever. But all you have to do is hear a horror story like that of UK mum Claire Henderson, whose newborn daughter Brooke was kissed on the mouth — and then spent five days in hospital after developing the herpes virus on her lips, cheeks and chin. The cold sore virus can be fatal for a baby under three months, as was shown in Queensland just last year when Mackay baby Eloise Lampton died from it, just a few short days after she was born. 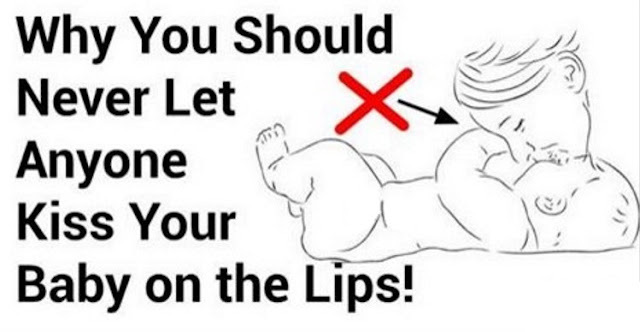 “The moral of the story is DO NOT let anyone kiss your newborn’s mouth, even if they don’t look like they have a cold sore,” Claire Henderson wrote on social media. Which begs the question — why on earth would you visit a helpless, defenceless, unimmunised little newborn with a cold sore? And why or why would you kiss her? And on the lips, no less? For six weeks, that tiny baby is unimmunised against most of the germs us mortals carry around every day. To you it may just be a runny nose or an ugly sore on your top lip. To that baby, to that baby’s family, it could mean the difference between life and death. We need to properly respect a child’s right to good health. I recently tried to visit some good friends who had just had a baby, to be told — could we possibly wait until after the baby’s six-week shots? It’s not something you hear of a lot, and I’m sure an approach that strict isn’t for everyone — but you know what? Good on her for saying how she felt, instead of politely agreeing to something you didn’t feel comfortable with, and then dealing with the consequences. We need to stop looking at this as a new generation of over-protective parents wrapping a child in cotton wool — it has to be seen as nothing more than what it is — and that is the right thing to do. Giving a baby the best chance at life is your right — your responsibility actually — and no one should make you feel guilty for expressing caution. 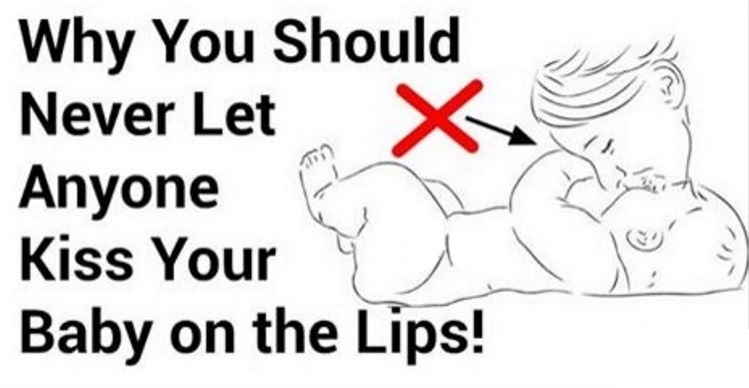 So no, you do not kiss a newborn baby on the lips. No, you do not let sick children near a new baby. And if you or your children aren’t immunised, then don’t come for a visit. We simply can’t worry about being polite when our childrens’ lives are at risk.